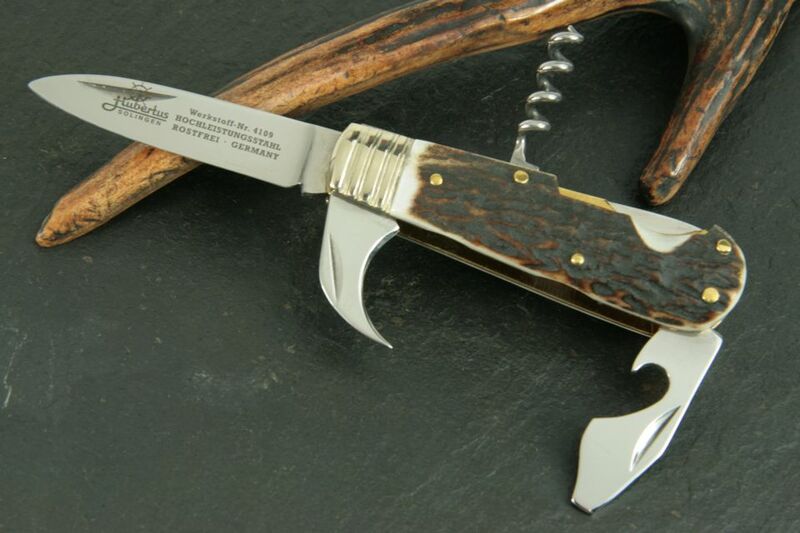 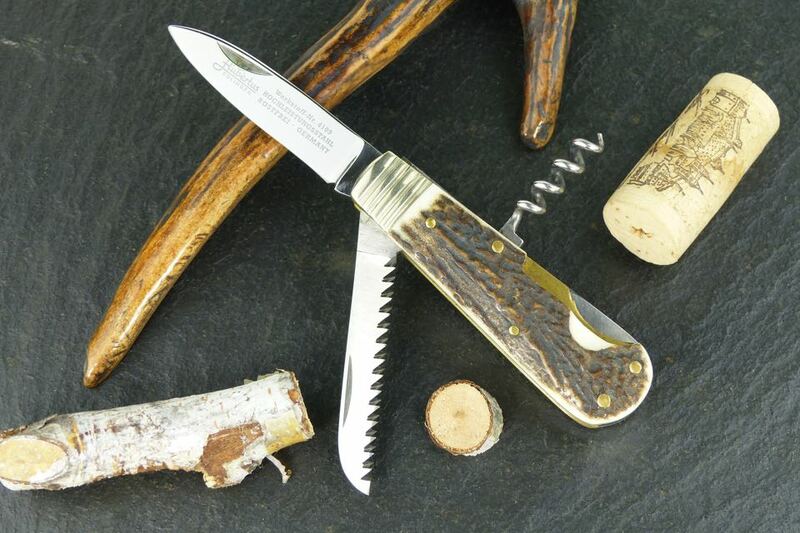 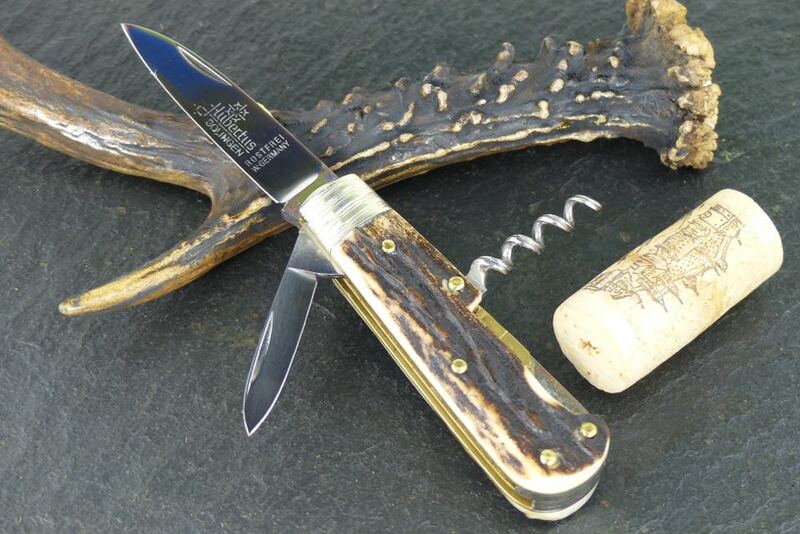 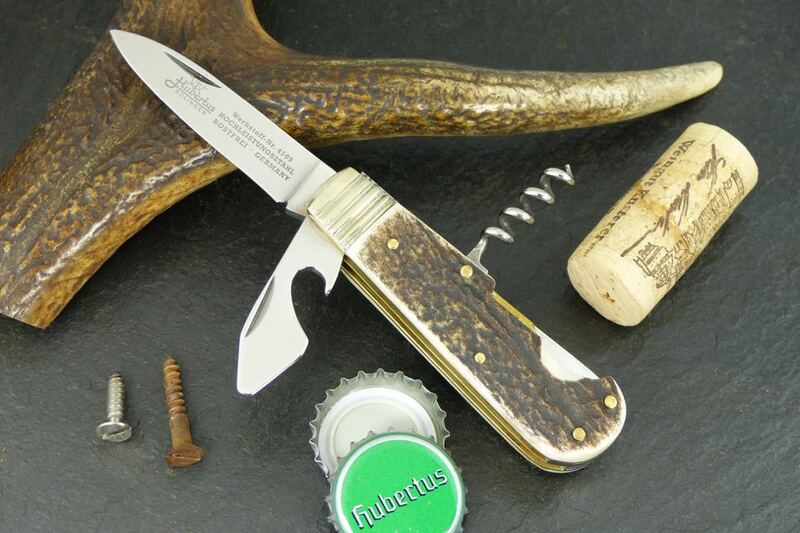 HUBERTUS-Solingen :: HUBERTUS Backlock Series "10"
You are here: Homepage "EN" > Products > Hunting Knives - Folder > Series "10"
Our smallest HUBERTUS backlock series „10“ with locking blade (5.5 cm / 2.17") and classic backlock at the back of the handle is characterised by a length of the handle of only 8 cm / 3.15", the overall length with opened blade comprises 14 cm / 5.51". 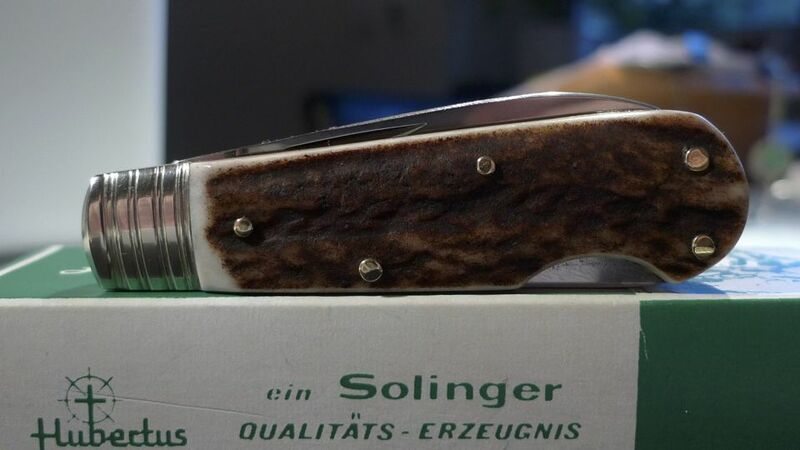 Knives of this series are generally called „Adelsmesser“ ("nobility knives"). 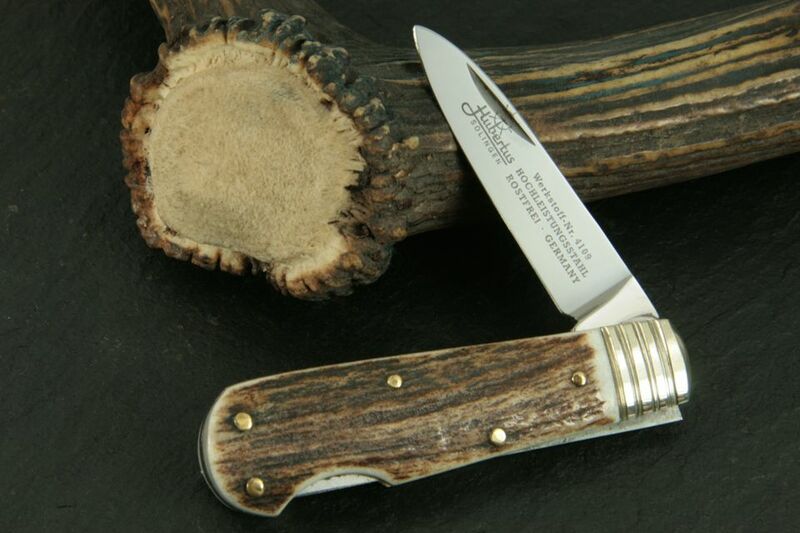 Blade length: 5.5 cm / 2.17"
Small blade: 3.5 cm / 1.38"